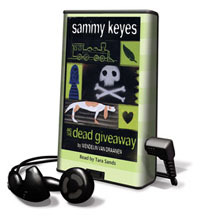 Irrepressible Sammy Keyes, girl detective, returns to charm young mystery fans in the tenth book in the series by Wendelin Van Draanen. Sammy, who is completing seventh grade, is horrified when a teacher's beloved bird dies. Although Sammy is responsible, the teacher blames her rival, Heather. Sammy sees Heather steal ballots for the Class Personalities election, so she allows Heather to take the fall -- for awhile anyway. Everyone at school is chattering about the school dance and Sammy is dismayed when Casey, Heather's brother, invites her to go with a group of friends as a "non-date" date. Along the way, Sammy gets distracted by a problem concerning urban renewal and begins snooping.